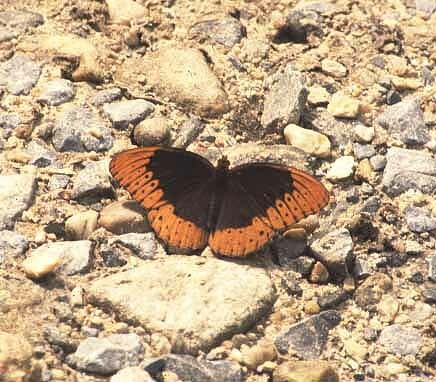 Male, top view, sunning; © James Adams, 2001. 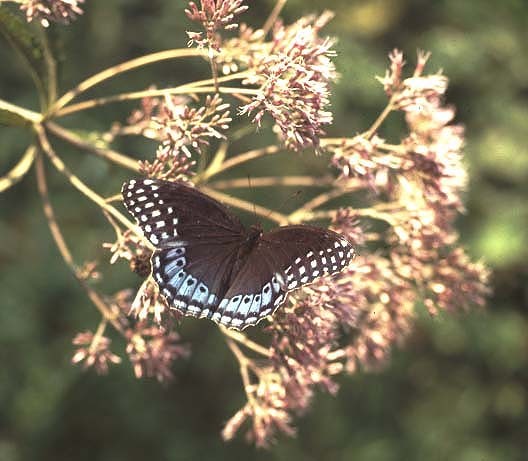 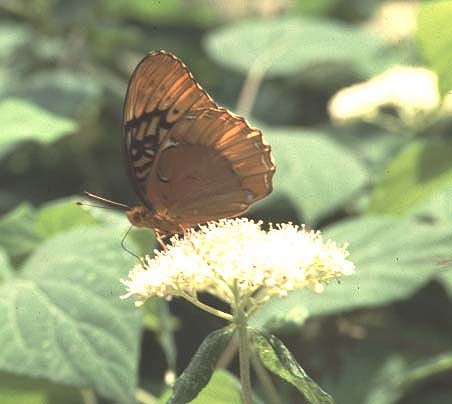 Male, underside, © James Adams, 2001. 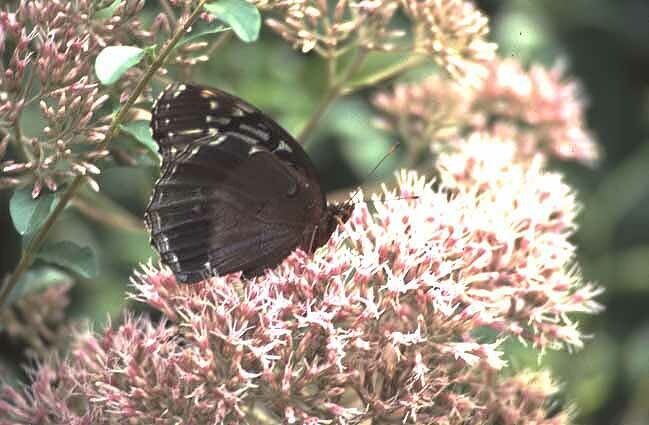 Above -- Female, top view; Below -- Female, underside, on Joe-Pye Weed; © James Adams, 2001.